Imagine paintings that hold the secrets to the meaning of life and death—or scribbled words that can alter the past and reshape the present. 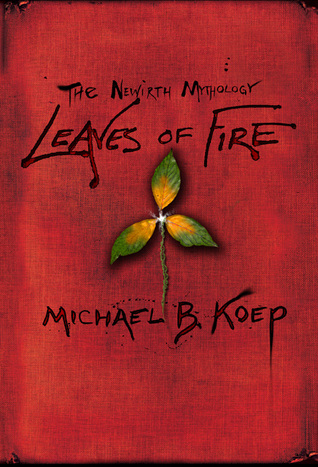 We know art imitates life but in Michael B. Koep’s thriller fiction trilogy, the author brings the arts to life in an action-packed tale spanning seven centuries. In the spring of 1338, young William of Leaves knows only of remedies, herbs and his mother’s kindness. When he is forced to watch as she is dragged to a witch’s pyre by a mob led by the Bishop of London, the mysterious immortal apothecary, Albion Ravistelle, promises the boy a chance at vengeance. In present day, psychologist Loche Newith and Julia Iris must come to terms with Loche’s prophetic writings that have changed the course of history and shaped the lives of William, Helen, and countless others. As a war breaks out between the immortals on earth and Albion Ravistelle, Loche must accept the realities he has authored and cross over into death—he must enter again into Basil Fenn’s paintings to find a way to end the conflict. The Invasion of Heaven, the first in this series told the story of the Painter and the Poet. This second book is about the Healer. An author whose writings are prophetic and change the course of history. The first one was a bit of a slide into madness, which isn’t always bad as we see in this book. A battle between Gods and the ones who are tasked with keeping them where they are. I’m really torn with writing a lot about this book because I loved the way I fell into it and got sucked down the rabbit hole along with the Poet and the Painter. Almost like Stephen King meets Dan Brown! But fresh, original and just when I was getting a little tired of the same old reads Mr. Koep comes along and blows me away. You don’t have to read book one first, but I would anyway. That is a great recommendation. I will add it to my list of books to watch out for. My brother suggested I might like this blog. He used to be entirely right. This post truly made my day. You can not imagine simply how much time I had spent for this information! Thank you!